Valentine’s Day has come and gone. Got any left over Hugs and Kisses? I have a suggestion for how to use the candy ones as well as the real ones. Sunday, February 17th, is Random Acts of Kindness Day. 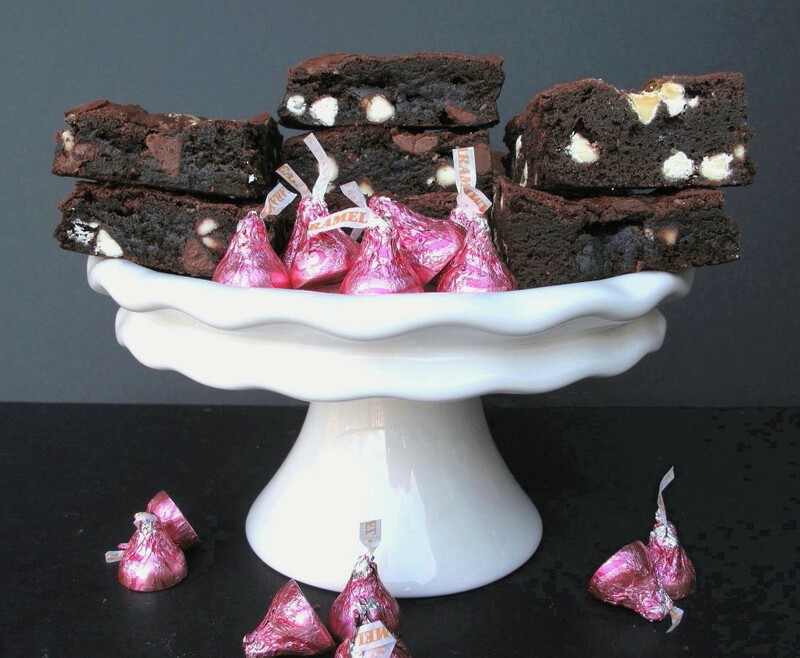 Hugs and Kisses Brownies are so fudgy and delicious you will want to make left over chocolate a tradition.The Cup of Joe program is a very easy and inexpensive way to do a random act of kindness that has a huge impact. This blog is focused on recipes for care packages. My “expertise” is college care packages. However, all Monday Box recipes certainly apply to anyone looking for a treat to enjoy at home. But what about military care packages? Those take 2 weeks to a month or more to reach their destination. I knew nothing about the rules or recommendations for care packages being sent to the desert! I began researching. That’s when I became acquainted with Gina and her eye opening blog, Gina Has Left the Mall. Please read it. Gina hopes that through her blog she will, “inspire other to care, maybe put that care into action, and help close the divide between military and civilians.” If you are familiar with deployed troops you will find yourself nodding your head in agreement. If, like me, you aren’t familiar, you will find a window to a different world. This post has nothing to do with politics or personal feelings toward wars or international relations. This is about men and women who are serving their country in often dangerous and difficult jobs, located in often uncomfortable conditions. Each one of these service people is somebody’s son or daughter. As a mom, my heart goes out to each one and their families. OK, Gina. You have opened my eyes. Our troops need to know they are not forgotten and that their sacrifices are appreciated. Now what? How about a Cup of Joe? Gina introduced me to this easy and inexpensive Random Act of Kindness that I was telling you about. Cup of Joe is a program provided by Green Beans Coffee which has cafes on military bases throughout the world. Anyone can click on their site and, for only $2, donate a cup of coffee to a service person. There is also the option to write a short message of support to go with the coffee. That random act, from one stranger to another, is so effortless and yet reaches across continents to communicate kindness. This Sunday, why not celebrate Random Acts of Kindness Day by baking some Hugs and Kisses Brownies and virtually sharing a cup of coffee with a service person, providing a combination morale and caffeine boost? These brownies are simply delicious and they are care package perfect. You don’t have to send them anywhere. You can hide them and keep them all for yourself. You will be temped to. Hugs and Kisses Brownies are rich, chocolaty, and chewy and best of all they stay that way for a ridiculously long time. After two weeks, ours tasted fresh. But then we finished them, so I can’t personally vouch for the claim that they are good for a month, however, I wouldn’t be surprised. The original recipe comes from Nestle’s test kitchens and was developed especially for military care packages, following the guidelines for desert safe food (withstanding high temperatures) and mailing regulations to Middle Eastern nations. Any adaptations I made, remain within those guidelines. Basically, this means using vegetable shortening (Crisco) instead of butter, margarine, or nut butters. Apparently, those are more likely to go rancid in high temperatures. I never use Crisco. Usually, I can taste it in cookies and bars. I was very skeptical about this recipe at first. But the proof is in the tasting. They really are amazing. Chocolate chips, oddly enough, are desert safe once baked. 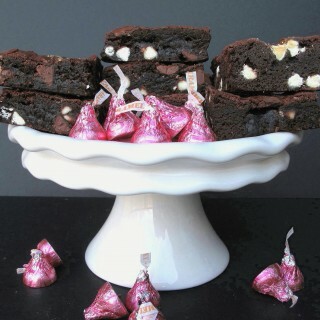 If you aren’t mailing Hugs and Kisses Brownies far away, and have an aversion to vegetable shortening, go ahead and substitute butter or margarine or even coconut oil. 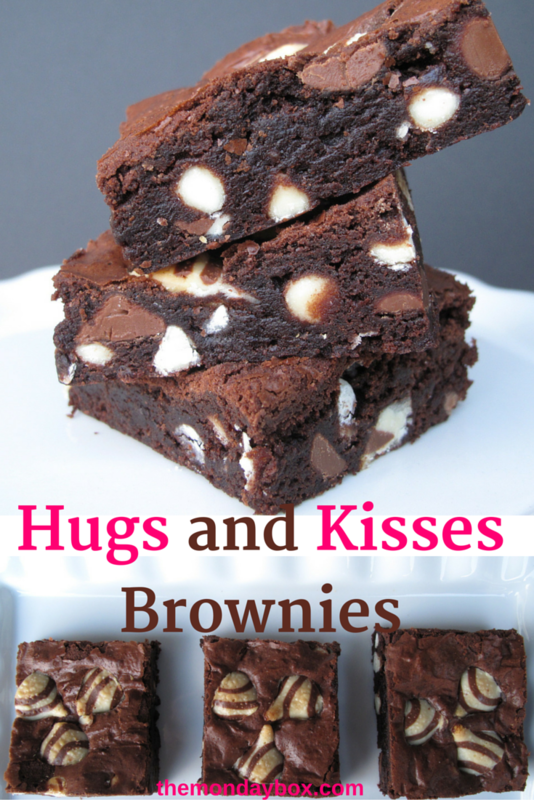 I hope you will share some Hugs and Kisses Brownies with someone you love and offer a random act of kindness to a stranger. I think it’s great that you are extending your care package expertise to overseas to help our troops. I’m sure it makes their day and the coffee idea is so easy! 🙂 Plus, these brownies look lovely, for overseas or straight into my mouth. Suzie, your positive comment means so much to me. Thank you! I appreciate knowing that I am on the right track and if I ever post something about military care packages that you think is off the track, please tell me that too. Thank you also for your willingness to be a resource for me and for others seeking info. on military care packages. I know that I will be taking advantage of your kind offer and expertise! Hopefully,at least a few extra cups of coffee are shared by letting people know that Cup of Joe exists. Thank you for thinking of the troops, I think any one of them would be THRILLED to get these brownies! And thank you so much for spreading the word about Cup of Joe. As you know, what you really give someone is so much more than a cup of coffee. And what you get back is worth far more than $2. Thank you also for sharing my blog and your kind words. It makes me feel like I’m one step closer to my not-secret goals 🙂 ps- looking at these pictures is making me want brownies for breakfast…lol. 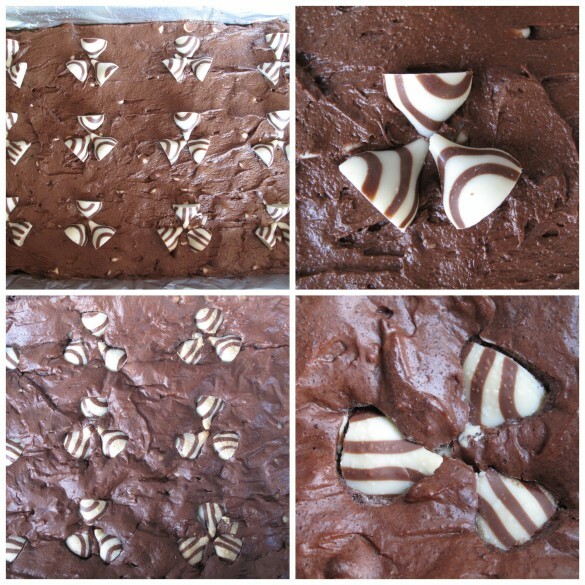 What Yummy Brownies! Thanks for letting us know about Random acts of Kindness Day! ooh thanks that is so sweet! I love brownies filled with goodies!! I agree, Aimee! These are so soft and sweet and chewy! These are just heavenly! I’m amazed that they last that long – thanks for the tips! I didn’t know that about shortening. Good to know because I want to send Easter treats out. Wow! Those brownies look gorgeous! I want one. Thanks, Emily! That is very high praise coming from some one whose blog is filled with amazing photography and delicious recipes! What a great idea!!! 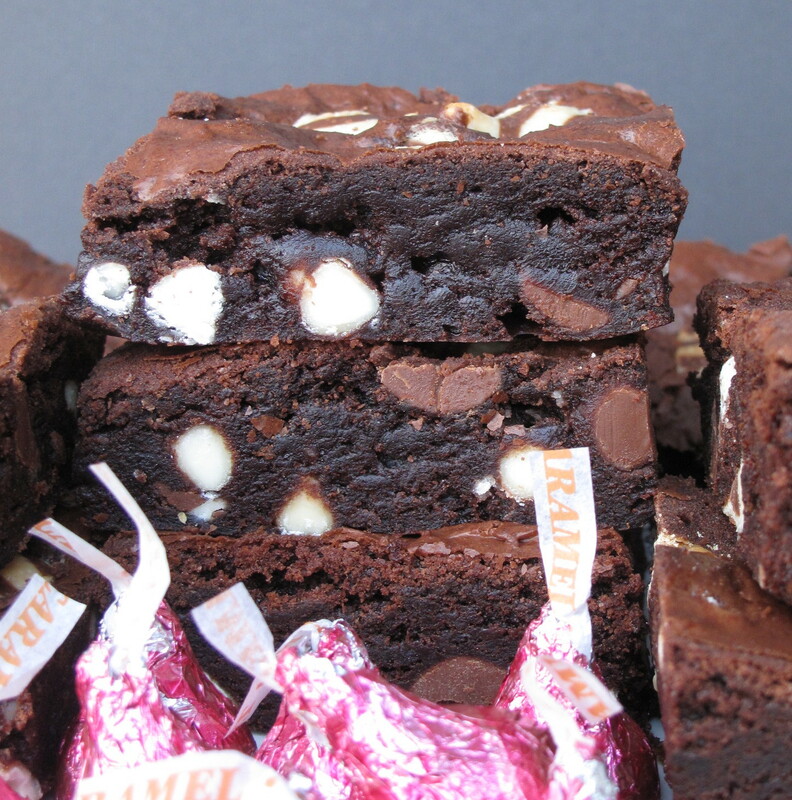 LOVE putting candy in brownies. The play on words, the time of year, seemed care package appropriate. 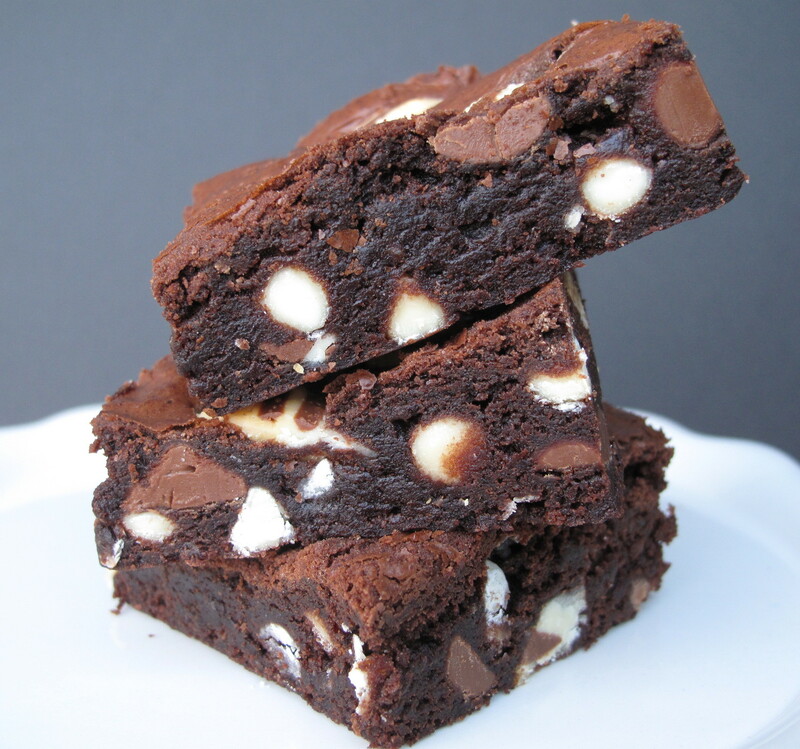 It really is amazing how long these brownies stay soft and chewy. Thanks, Dorothy! These look so good! And sending care packages to service men and women is such a great idea. 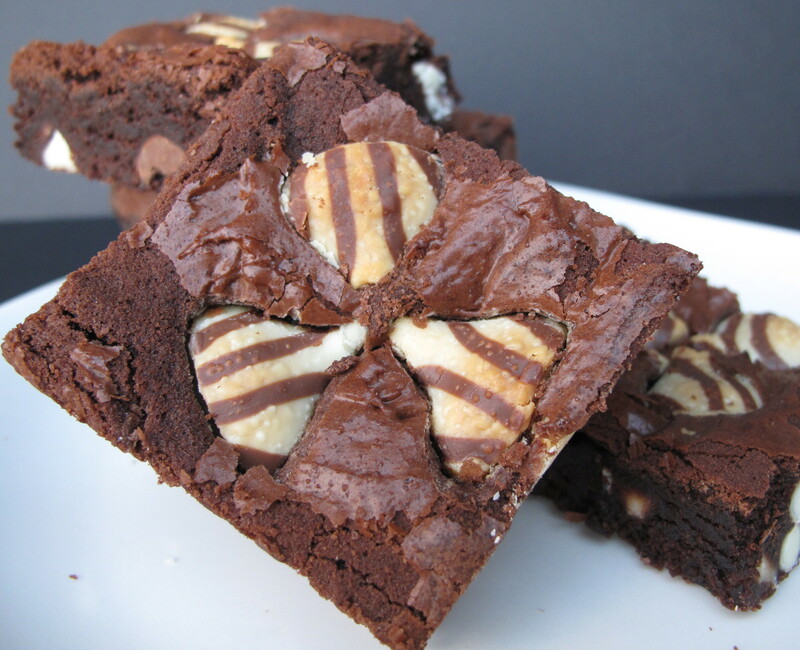 Whose day isn’t made better with a brownie? Oh, no fair. 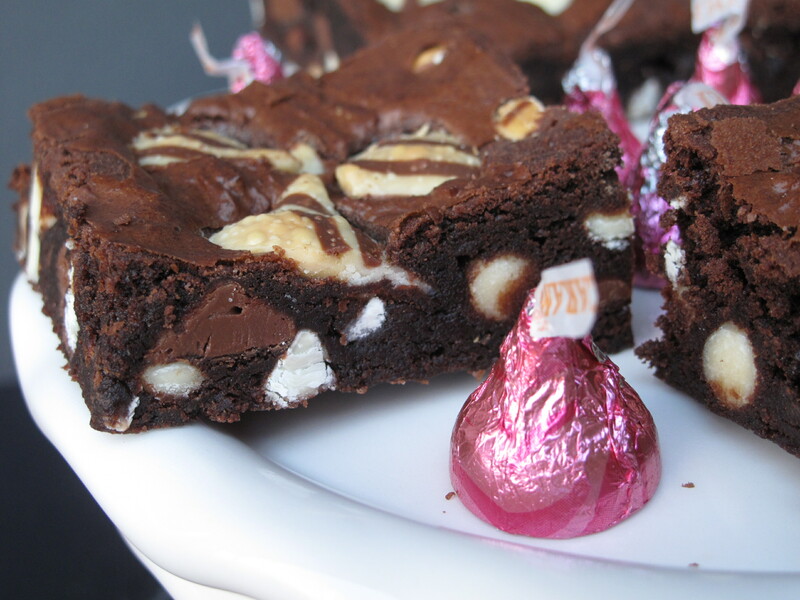 It’s 10:15pm and all I can think of right now is plateful of these hugs and kisses brownies. I guess I’ll be making a batch (or two) tomorrow. Thanks for sharing at the #ThisIsHowWeRoll Link Party. Thanks, Susan! These brownies stay soft and chewy a really long time! Thanks for hosting This is How We Roll! Brownies are so my weakness. 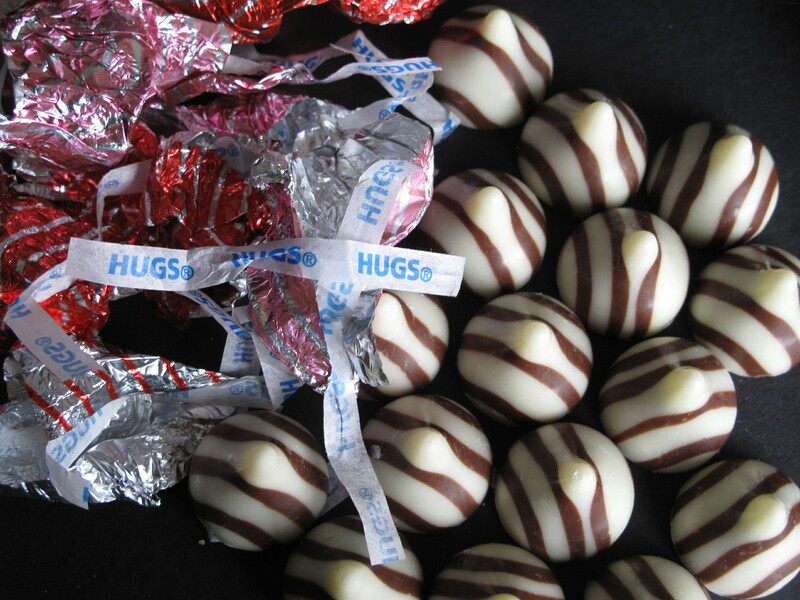 Adding the hugs and kisses chocolates to them takes them to another level. Can’t wait to try them! Your Hugs and Kisses Brorwnies will be great with a cup of coffee, yum! Hope you are having a great day and thanks so much for sharing with us at Full Plate Thursday. Random acts of kindness are what the world needs right now. Thanks for sharing! And oh, those brownies got me drooling! Yum! Yum! We love brownies and this would make a fabulous V-day treat. Thanks for sharing on MM. Pinned and will be featuring this tonight. Looks like you had a very sweet valentine’s day! Thanks for sharing at the What’s for Dinner party. Can’t wait to see what you’ll bring this week!